So now we'll see fewer articles in the New York Times about how it's not working and JCD needs a better deal. 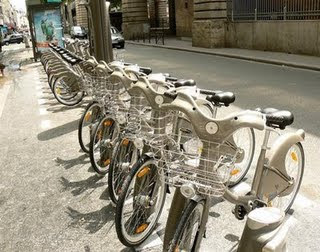 This company has just started a share bike network in Dublin and it has being a staggering success. In the first month Sept 09 they got over 12,000 subscribers at the end of Dec09 the got just under 24,000.They hoped for 10,00 in the first year. So far 200,000 bike journies have being made. They are going to expand it as at the moment they only have 450 bikes. To the surpries of all who live in Dublin only one bike has been stolen in the first few months.